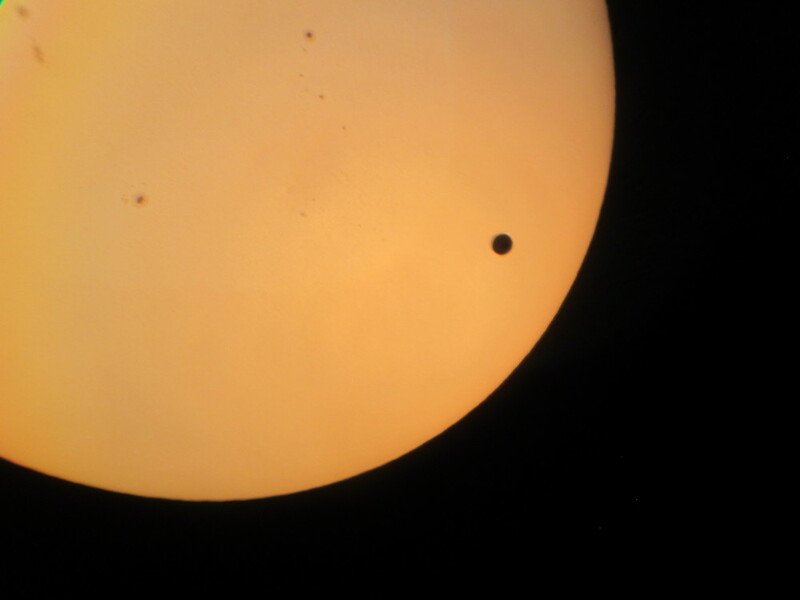 We plan to observe the Moon, nebulae and star clusters though our telescopes. All these events are weather permitting. Admission is free. Colloquia — Every Tuesday at 4:00 PM, Lewis Hall 101 or the NCPA auditorium. SPS — Society of Physics Students. 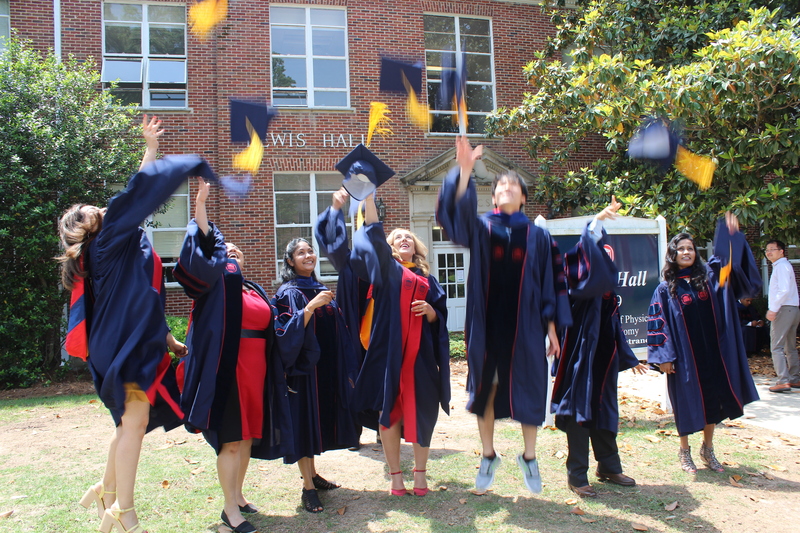 Welcome to the SPS home page at the University of Mississippi. The SPS is an organization made up of students with one common interest: Physics. We aim to bring physics students closer together and to serve our community by educating others. We are a chapter of the National SPS Organization. Also see our local webpage. 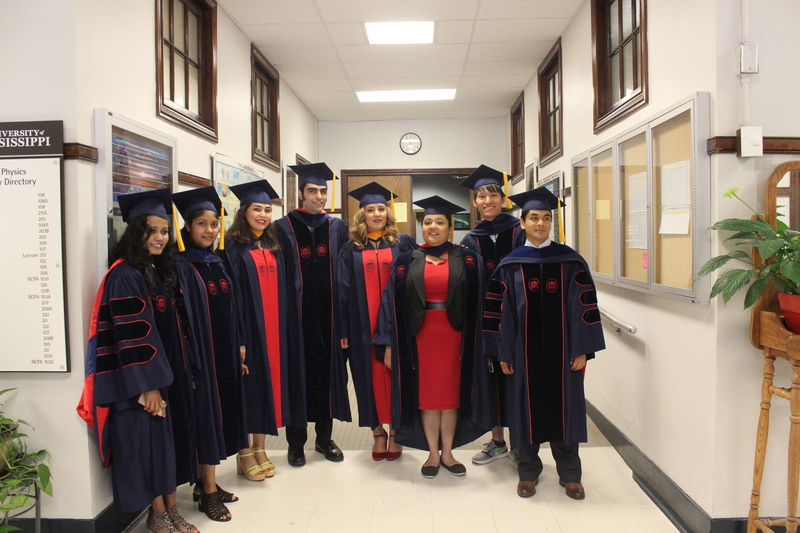 Nilmini Karunarathne successfully defended her Ph.D. dissertation on Wednesday, June 26, in 228 Lewis Hall. The physics department participated in the 2018 S.T.E.M. Fest. Physics Open House. Learn why a curve ball curves or how to hit the perfect home run from the Society of Physics Students. Lewis Hall & Swayze Field 3 – 5 PM. National Center for Physical Acoustics Tours. Discover cutting-edge research on a variety of acoustic phenomena, from ultrasonic to infrasonic. NCPA, 3 PM & 4 PM. Hidden Figures: The movie. The 2016 blockbuster presented by the Women in Physics and the Office of Diversity and Community Engagement. 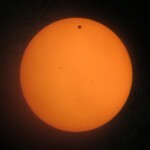 Overby, 5 – 7:15 PM. 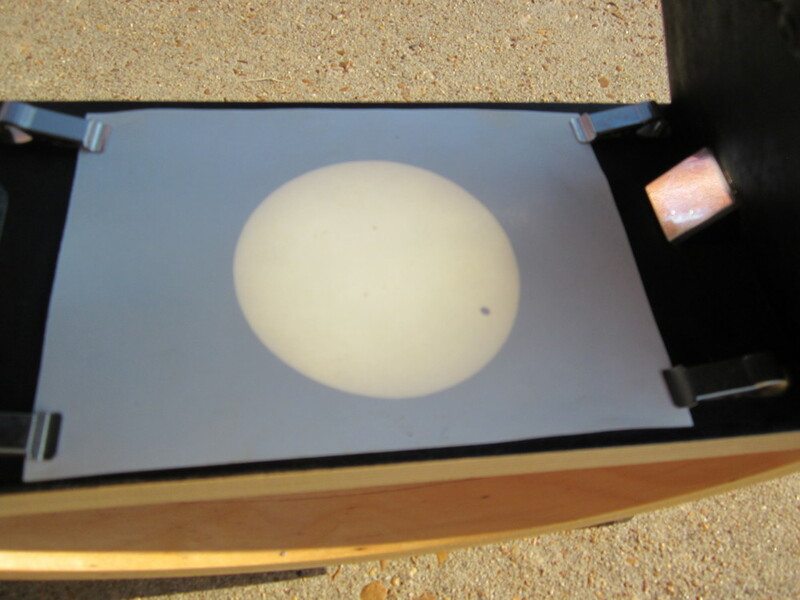 Astronomy Open House: Viewings of the moon and Jupiter with the historic 1893 Grubb telescope, weather permitting. 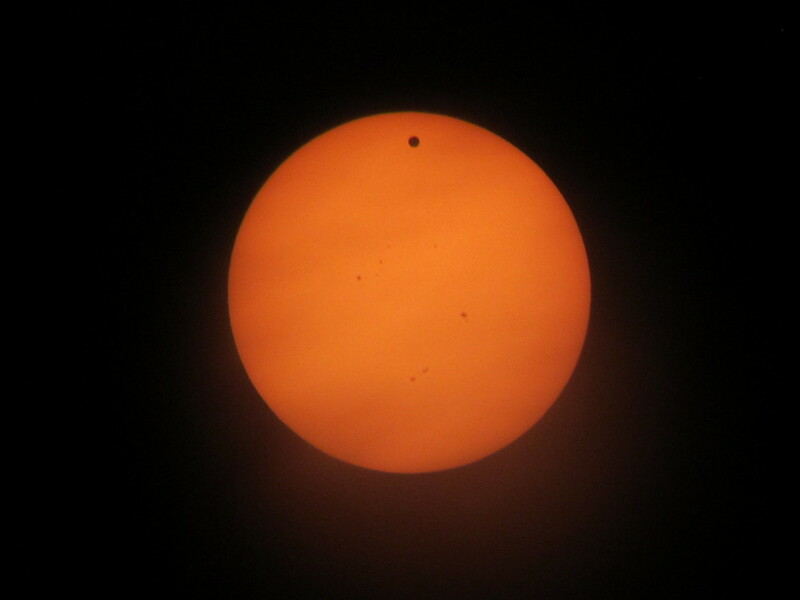 Kennon Observatory, 8 – 10 PM. Lightning Research at UM Field Station. 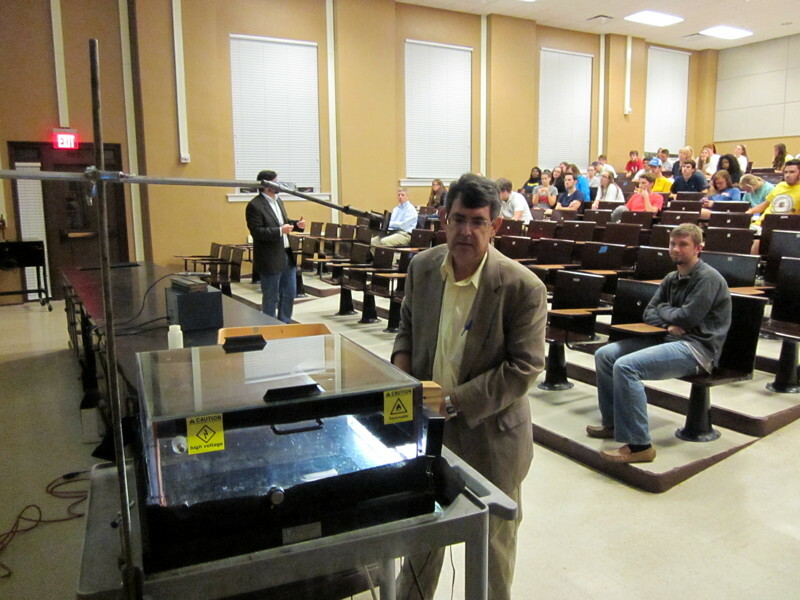 Lecture on lightning and atmospheric physics by Professor Tom Marshall. 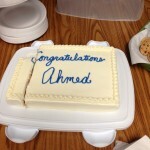 Chandrima Chatterjee successfully defended her Ph.D. dissertation on Wednesday, April 18, in 228 Lewis Hall. Wanwei Wu successfully defended his Ph.D. dissertation on Monday, April 9, in 228 Lewis Hall. It featured Research talks and Poster presentations. 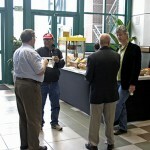 It was open to Faculty, Staff, Undergraduate students, and Graduate students. It took place from 9:30 AM to 5:00 PM in the Robert C. Khayat Law Center. 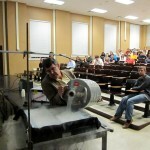 Frights, food and fun are the order of the evening when the University of Mississippi Department of Physics and Astronomy presented “Spooky Physics Demonstrations” from 7 to 9 p.m. Friday (Oct. 27) in Lewis Hall. The program included a stage show at 8 p.m. Hands-on activities for the public through the evening include freezing objects in liquid nitrogen (at minus 320 degrees), generating sound waves with Bunsen burners and tubes, and levitating magnets with superconductors. Other fun presentations include optical illusions with mirrors, a Van de Graaff generator (a literally “hair-raising” electrical device), a bed of nails and other contraptions. Physics department personnel also prepared ice cream with liquid nitrogen and award prizes for the most original, scariest and cutest costumes to kids aged 12 and under. 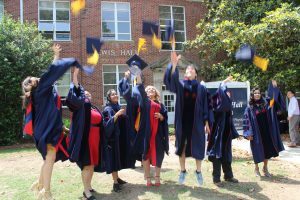 The 3rd Annual Belle II Summer School was held at the University of Mississippi took place from Monday July 17, 2017 until Thursday July 20, 2017. The meeting will started in room 109 of Lewis Hall at 9:00 AM Monday morning. Lectures were in room 109 Lewis Hall and the Breakout rooms were in rooms 109 and 228 Lewis Hall. Please see http://www.phy.olemiss.edu/b2ss2017/ for details. 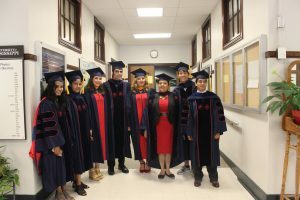 The 2017 induction ceremony for the National Physics Honors Society, ΣΠΣ took place on May 9 at 11:15 AM in room 101 in Lewis Hall. Join us for a celebration of science. Walk from Campus to Oxford square on April 22 to champion and support science. Science protects the health of our communities, the safety of our families, the education of our children, the foundation of our economy and jobs, and the future we all want to live in and preserve for coming generations. Science is a tool of discovery that allows us to constantly expand and revise our knowledge of the universe. In doing so, science serves the interests of all humans. Science education teaches children and adults to think critically, ask questions, and evaluate truth based on the weight of evidence. Science promotes diversity and inclusion in science to build robust and resilient communities for the benefit of all people. Science makes our democracy stronger. On April 22, scientists and supporters of science marched in cities and towns across the world to reaffirm these core values. Please stand up for science and join your fellow Ole Miss scientists in a celebration of science by walking from campus to Oxford square. This is a strictly non-political, non-partisan event. We value inclusion, diversity, equity, and access to everybody. We aim for a diverse group of participants, including first-time marchers. Families with young children are welcome. We assembled on the steps of the Lyceum (University Circle) at 10:30 am and started walking at 11:00am. The planned route (about 1 mile) took us through the Grove, University Avenue and South Lamar. We ended the march at Oxford Square. Please show your support for science as a vital feature of a working democracy, spurring innovation, critical thinking, increased understanding, and better, healthier lives for all people. Follow us on Twitter and Facebook (event). 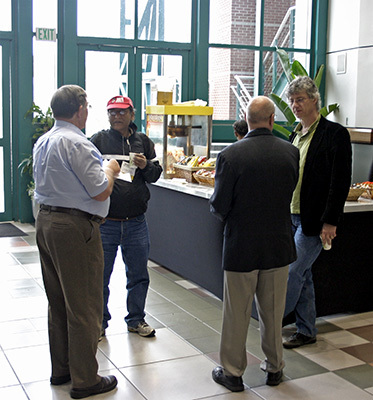 The “Strong Gravity and Binary Dynamics with Gravitational Wave Observations” workshop convened Feb. 27 to March 2 in the Yerby Conference Center. The event was supported in part by Emanuele Berti’s National Science Foundation CAREER Award and by a Marie Sklodowska-Curie Research and Innovation Staff Exchange Action network, funded by the European Union’s FP7 program. About 50 scientists representing some 30 research agencies and institutions of higher learning attended. 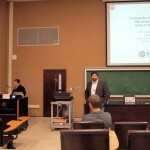 Researchers discussed several topics in the newborn field of gravitational-wave astronomy, including the astrophysics of compact binary populations, spin measurements in compact binaries, strong-field tests of Einstein’s theory of general relativity and how to look for hints of new gravitational physics beyond Einstein’s theory. 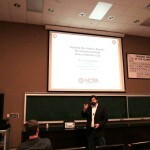 For more about the workshop, visit http://www.phy.olemiss.edu/StronGBaD/. 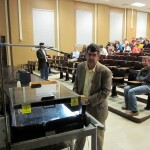 For more about the Department of Physics and Astronomy, go to http://physics.olemiss.edu/. Also see the article from Inside Ole Miss. 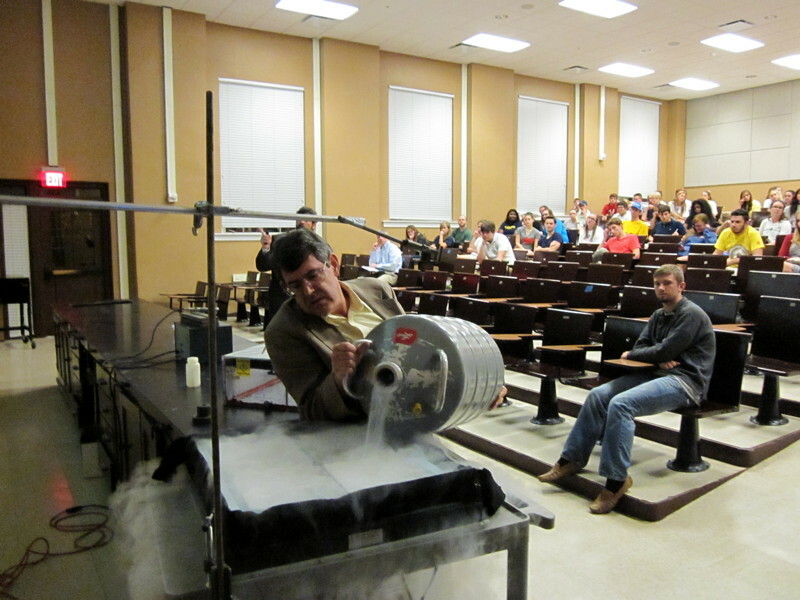 Frights, food and fun are the order of the evening when the University of Mississippi Department of Physics and Astronomy presented “Spooky Physics Demonstrations” from 7 to 9 p.m. Friday (Oct. 28) in Lewis Hall. 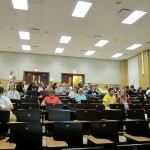 The department has hosted a 2 day QuarkNet Teacher Workshop on June 27 and June 28. We discussed the detection of Dark Matter, SuperSymmetry, and Cosmic Rays. Teachers learned how to operate cosmic ray detectors and take activities back to their class rooms. Contact the Department of Physics and Astronomy if you are a high school Physics teacher and are interested in the QuarkNet program. waves and the first observation of a binary black hole merger. 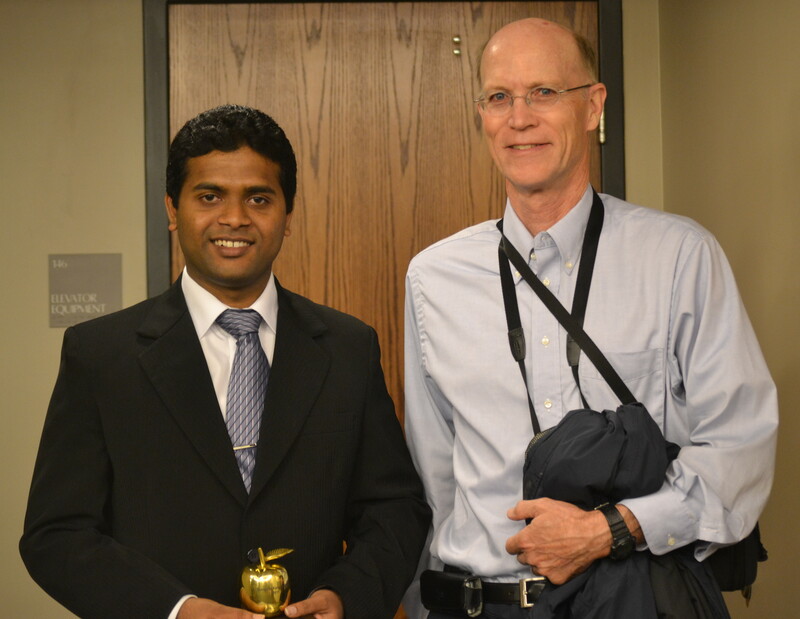 Sumudu Tennakoon wins first place for best podium presentation at the 5th Annual Graduate Student Research Poster Symposium — April 28, 2015. Physics Grads at the 5th Annual Graduate Student Research Poster Symposium organized by The Graduate Student Council (GSC) in coordination with the Graduate School and the Office of Research and Sponsored Programs (ORSP). 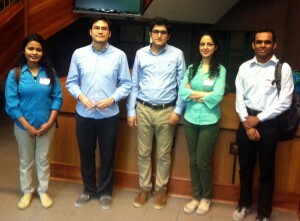 From Left to Right: Sunethra Dayavansha, Hector Okada da Silva, Vahid Naderyan, Nazanin Omidi, and Sumudu Tennakoon. 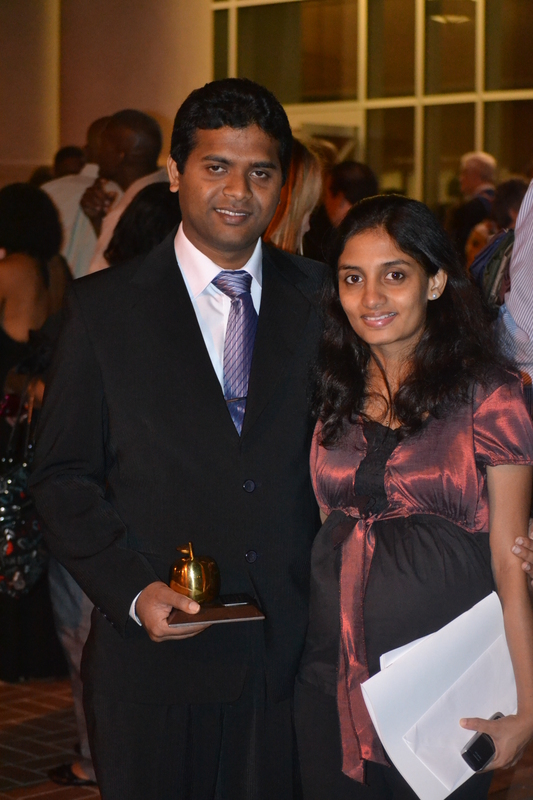 Sumudu Tennakoon was awarded with the 1st Place prize for the Podium Presentation category. UM alumna Josephine Howard offered problem-solving advice to UM students at a Joint SPS and PME meeting — April 21, 2015. 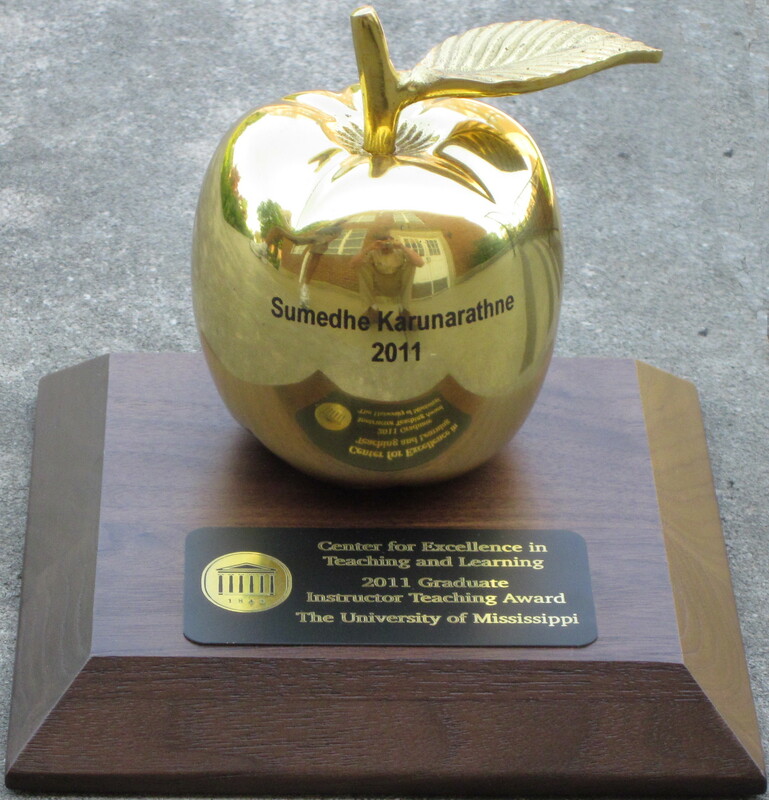 University of Mississippi graduate student Hector Okada da Silva received the Blue Apple Award for the best student talk at the 8th Gulf Coast Gravity Meeting — February 28, 2015. 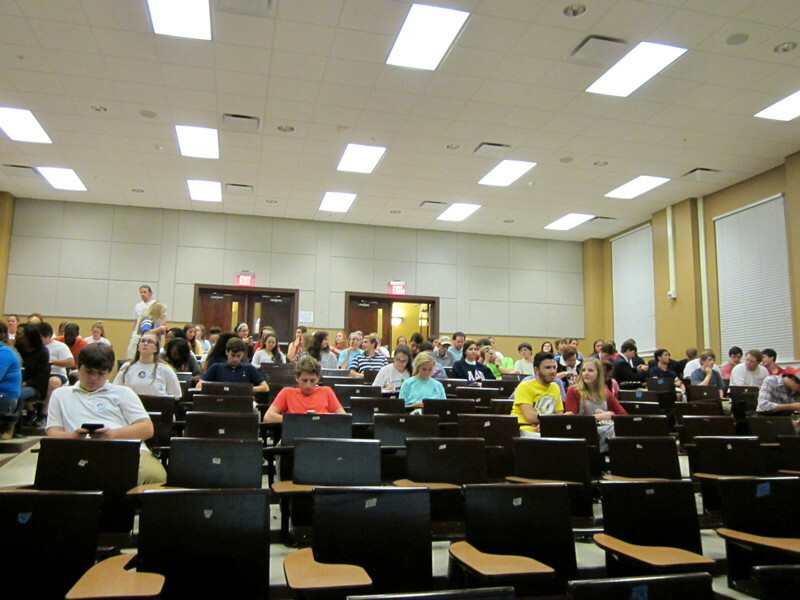 The 2015 Conferences for Undergraduate Women in Physics (CUWiP), southeastern region meeting was held at the University of Mississippi — January 16-18, 2015. 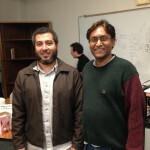 Three Physics grad students participated in the UM 3 Minute Thesis (3MT) competition. 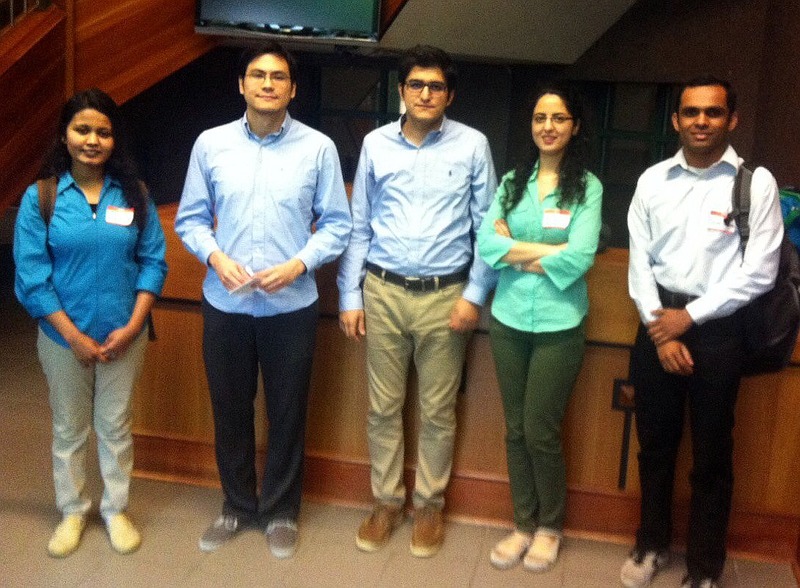 The students competing were Chandrima Chatterjee, Ukesh Koju and Vahid Naderyan. 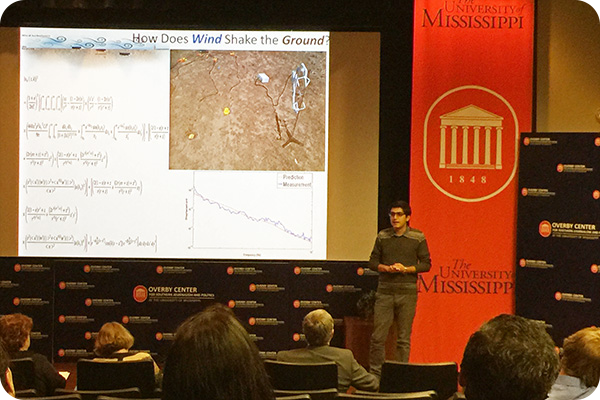 Vahid Naderyan was the winner of for the master’s thesis 3MT, giving a talk on his research in wind noise and its interaction with the ground. Vahid’s Presentation of his master’s thesis at the UM 3MT final. More photos can be seen here and the YouTube video is here. In conjuncture with this year’s Common Reading Program book, The Girls of Atomic City, Dr. Josh Gladden gave a lecture explaining the basics of nuclear fission and why enrichment was so important in making the fuel for the atom bomb. There were also Geiger counter and a cloud chamber demonstrations that showed examples of ionizing radiation . 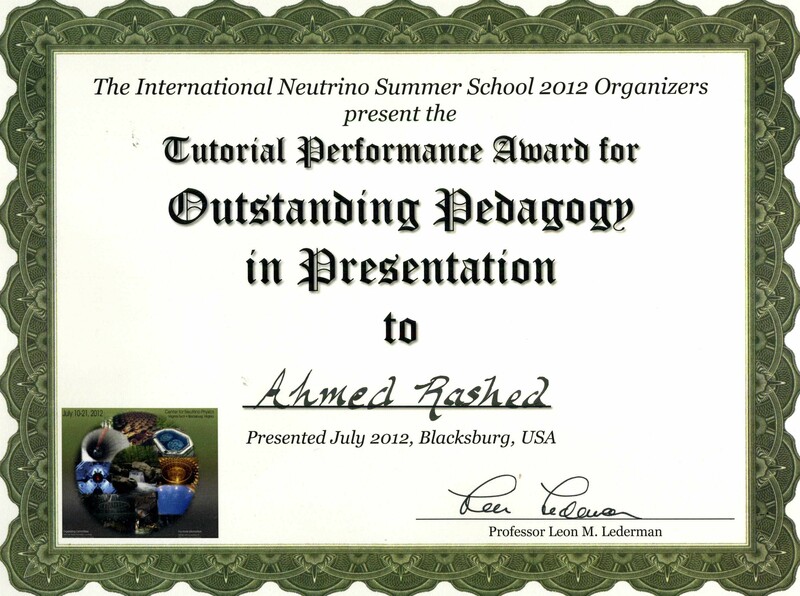 Neetish Pradhan's presentation of his work at the CERN summer school — August 13, 2014. The CERN Summer School offers undergraduate students of physics, computing and engineering a unique opportunity to join in the day-to-day work of research teams participating in experiments at CERN in Geneva, Switzerland. 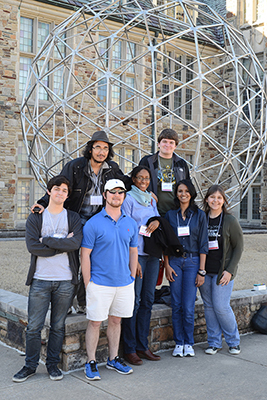 University of Mississippi undergraduate physics student, Neetish Pradhan, attend this year, 2014. This MP4 is the presentation of the summary of his work. Many Partings — July 29, 2014. Party for Chris Hill, James Krauss and Kenneth Scott’s departure. 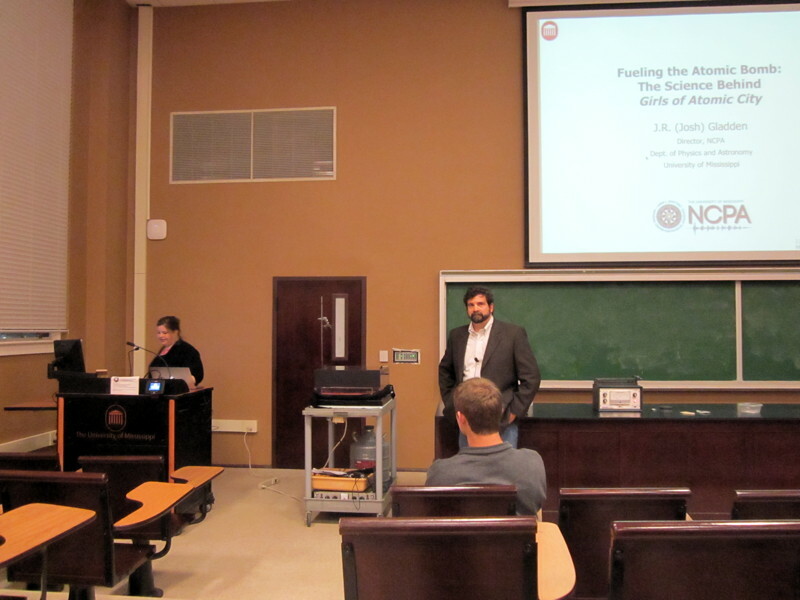 In the Spring of 2014, Dr. Gladden was elected to two national Acoustical Society leadership positions. At the Spring Meeting of the Acoustical Society of America, Dr. Gladden took over as Chair of the Physical Acoustics Technical Committee. He will serve a 3 year term in this role. The Chairs primary duties are to represent the Physical Acoustics community to the larger Acoustical Society leadership, work to ensure a broad and robust representation of physical acoustics at the bi-annual ASA meetings, help implement tools and resources to advance and connect the international physical acoustics community. Dr. Gladden was also elected as a “Member at Large” for the Topical Group on Instrumentation and Measurement Science (GIMS) which is a unit of the American Physical Society. 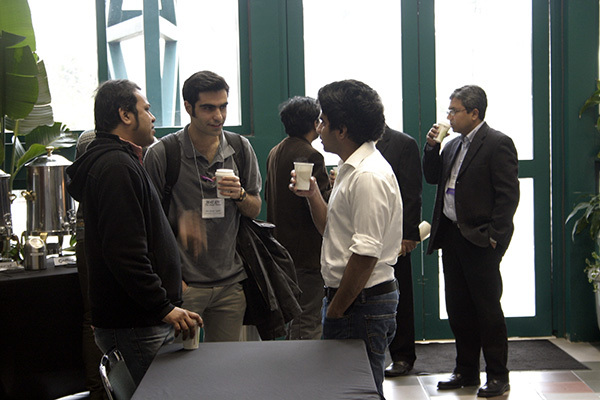 The focus of the GIMS is to advance the development of new measurement tools and techniques by creating a forum for discussions, collaborations, awareness, and recognition of significant achievements. Dr. Gladden is looking forward to contributing to each of these organizations. SPS LIGO Tour — April 11, 2014. 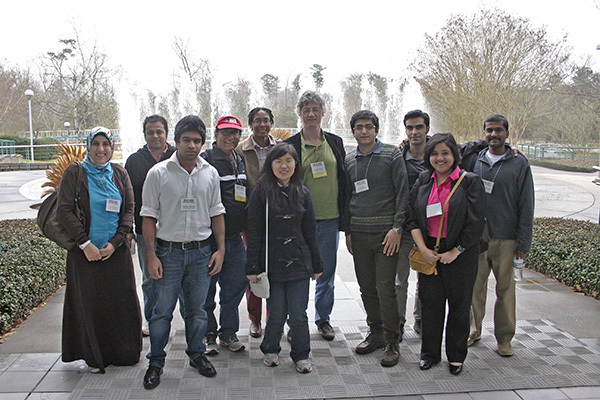 The UM SPS took a day trip to Livingston LA for a tour of the LIGO lab. The lab tour was organized by Dr. Cavaglià, a UM Physics faculty member, who is the leader of the LIGO team at UM and Assistant Spokesperson of the LIGO Scientific Collaboration. He accompanied ten SPS students along with Dr. Labuda the SPS faculty coordinator to the LIGO lab. 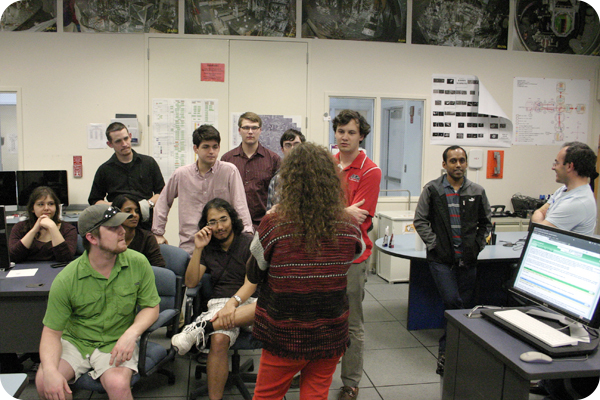 Group Photo in the LIGO Control room. 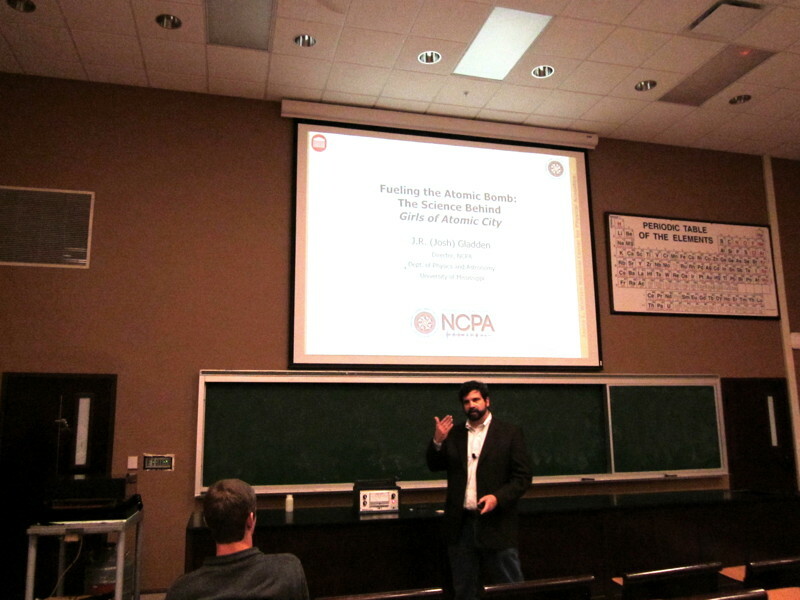 The Mississippi Academy of Sciences 78th Annual Meeting — March 6 - 7, 2014. Olemiss Physics Alumni and UM Law School student Trey Lyons is National Moot Court Champion. 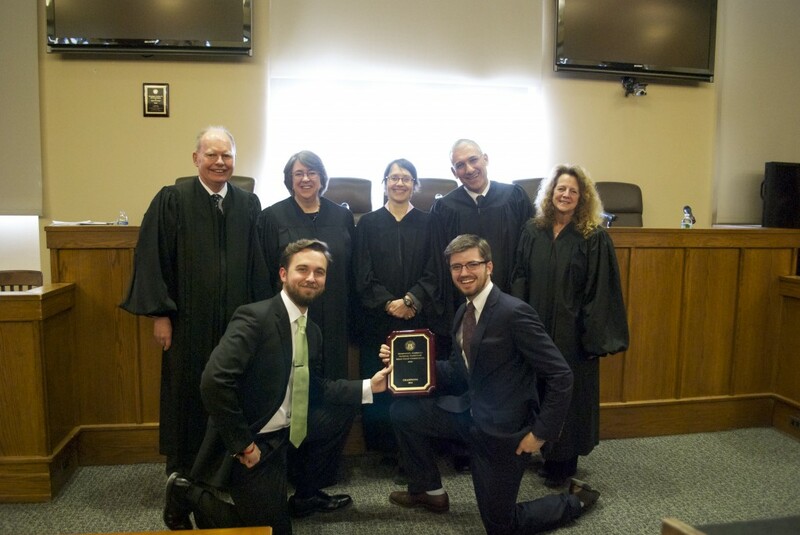 He and a fellow classmate won the 26th Annual Domenick L. Gabrielli National Family Law Moot Court Competition — February 25-27, 2014. Photo from the Championship Presentation. Also please see the article in the View from Ventress online. Olemiss Physics Alumni Amanda Gamble Wood’s Engineering class at Tupelo High School wins the VEX robotics state championship — February 26, 2014. Also please see the article in the Northeast Mississippi Daily Journal. SPS (Society of Physics Students) Zone 10 Meeting — February 21 - 22, 2014. 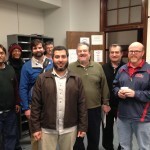 University of Mississippi Chapter of the SPS (Society of Physics Students) is designated a “Distinguished SPS Chapter”. Dr. Breese Quinn’s video has been selected as the best video for “Why Particle Physics Matters” by Symmetry, a magazine about particle physics for the general public published by Fermilab and SLAC National Accelerator Laboratory (See Why Particle Physics Matters). This award is one of two in Area A, which includes Biology, Chemistry, Mathematics, Philosophy and Religions, and Physics and Astronomy. 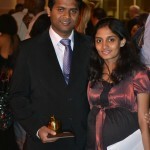 Ahmed dedicates this award to his wife. Students from Tougaloo college visited the Department of Physics and Astronomy. Besides meeting our faculty they took a walk around campus (including a tour of the National Center for Physical Acoustics and of the Center for Manufacturing Excellence) and heard about career opportunities in physics and other STEM disciplines. This visit was supported in part by Dr. Emanuele Berti’s NSF CAREER Award.This is a picture of the whole group, including amazing Dr. Donald Cole (watch this video! ), around James Meredith’s statue. This is a special year for Ole Miss: we are commemorating the 50th anniversary of the enrollment of James Meredith with a series of events on Opening the Closed Society. The building you can see in the back is the Physics Department (Lewis Hall). 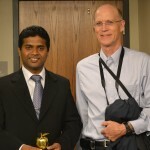 He received the award at the 4th International Summer School on Neutrino Physics (INSS2012), co-hosted by Virginia Tech and Fermilab, which took place at Virginia Tech’s Center for Neutrino Physics in Blacksburg, Virginia from July 10th to July 21st, 2012. The lecturers assigned some questions to the participants to address in the tutorial sessions in groups. His group was formed from three students (one theorist and two experimentalists) and addressed three questions; do the charged leptons oscillate, how to use neutrinos to set up a fast communications link to do insider trading, and construct a model to explain the relationship between the sine of the reactor neutrino mixing angle and the ratio of the neutrino solar and atmospheric mass-squared differences. His group was one of three groups (out of twenty groups) that got a presentation award. 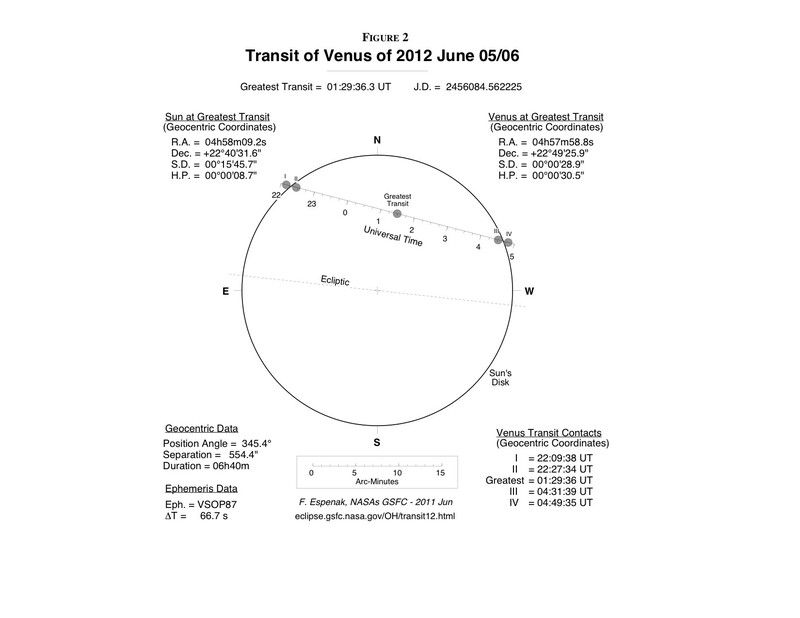 A transit of Venus will start at about 5 PM CDT on June 5th 2012. This is a fairly rare occurrence with the next one happening in 2117. 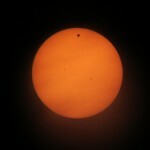 As with a solar eclipse Venus, instead of the Moon, will pass across the face of the Sun. 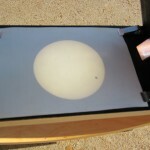 As with a solar eclipse, this may be observed either through a filtered telescope or by projection. 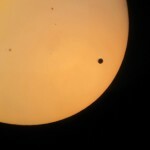 See Wikipedia and NASA for more details. 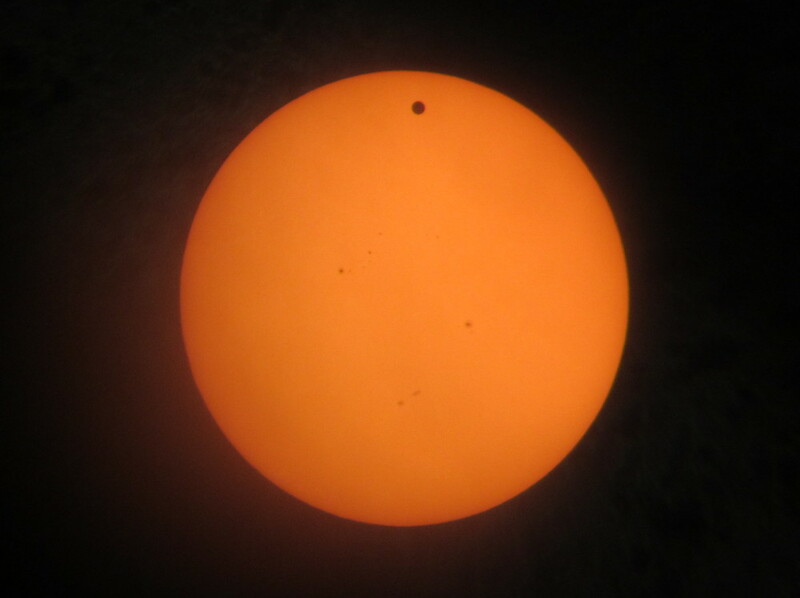 A live webcast is also available at the Bareket Observatory. 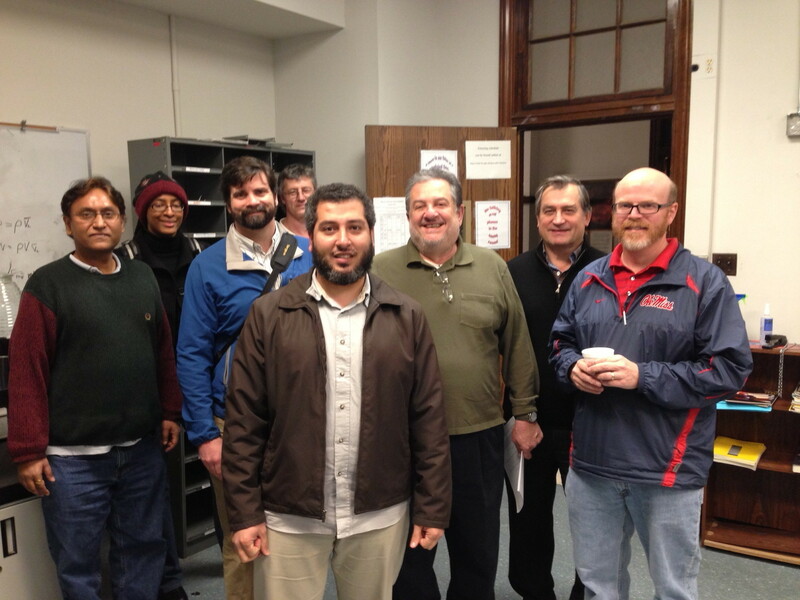 The Mississippi Section of American Association of Physics Teachers (MAP) meeting on the University of Mississippi campus in Oxford, MS.
Ahmed Rashed has received the Forum on Graduate Student Affairs (FGSA) Travel Award up to $500 from the American Physical Society (APS) for Excellence in Graduate Research. The Graduate Instructor Excellence in Teaching Award is sponsored by the Center for Excellence in Teaching and Learning. 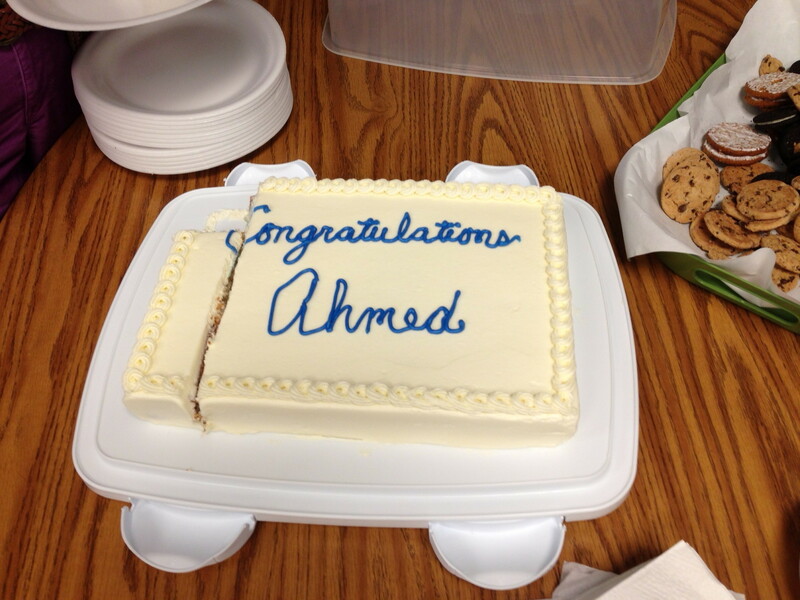 They were especially impressed with his teaching philosophy and his high ratings on student evaluations. 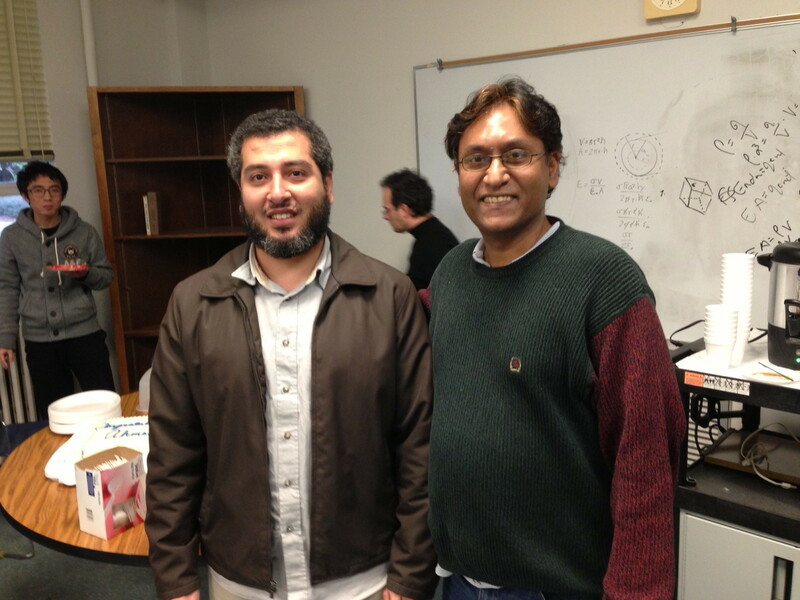 And especially appreciated his comment about helping “facilitate discoveries” in Physics 223-224. 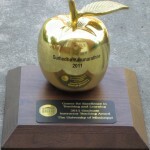 The Golden Apple Award and $1000 check was presented to him at the Doctoral Hooding Ceremony on Friday May 13, 2011 at the Gertrude C. Ford Center for the Performing Arts. The Science Undergraduate Laboratory Internship is a summer program sponsored by the Department of Energy. She will be working on research concerning the behavior of dust particles in plasma environments. The University of Mississippi LIGO Team has been awarded the grant “Mississippi Participation in LIGO’s Search for Gravitational Waves: Getting Ready for Advanced LIGO” from the National Science Foundation.